String • How long is it. Every time we update our program and run it again it is annoying having to type in all of our functions. In this chapter we'll add the functionality to load code from a file and run it. This will allow us to start building up a standard library up. Along the way we'll also add support for code comments, strings, and printing. For the user to load a file we'll have to let them supply a string consisting of the file name. Our language supports symbols, but still doesn't support strings, which can include spaces and other characters. We need to add this possible lval type to specify the file names we need. We start, as in other chapters, by adding an entry to our enum and adding an entry to our lval to represent the type's data. Next we can add a function for constructing string lval, very similar to how we construct constructing symbols. We also need to add the relevant entries into our functions that deal with lval. For Printing we need to do a little more. 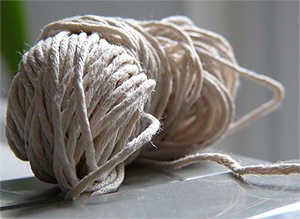 The string we store internally is different to the string we want to print. We want to print a string as a user might input it, using escape characters such as \n to represent a new line. We therefore need to escape it before we print it. Luckily we can make use of a mpc function that will do this for us. Now we need to add support for parsing strings. As usual this requires first adding a new grammar rule called string and adding it to our parser. The rule we are going to use that represents a string is going to be the same as for C style strings. This means a string is essentially a series of escape characters, or normal characters, between two quotation marks "". We can specify this as a regular expression inside our grammar string as follows. This looks complicated but makes a lot more sense when explained in parts. It reads like this. A string is a " character, followed by zero or more of either a backslash \\ followed by any other character ., or anything that isn't a " character [^\\"]. Finally it ends with another " character. We also need to add a case to deal with this in the lval_read function. Because the input string is input in an escaped form we need to create a function lval_read_str which deals with this. This function is a little tricky because it has to do a few tasks. First it must strip the input string of the " characters on either side. Then it must unescape the string, converting series of characters such as \n to their actual encoded characters. Finally it has to create a new lval and clean up anything that has happened in-between. If this all works we should be able to play around with strings in the prompt. Next we'll add functions which can actually make use of them. While we're building in new syntax to the language we may as well look at comments. Just like in C, we can use comments in inform other people (or ourselves) about what the code is meant to do or why it has been written. In C comments go between /* and */. Lisp comments, on the other hand, start with ; and run to the end of the line. I attempted to research why Lisps use ; for comments, but it appears that the origins of this have been lost in the mists of time. I imagine it as a small rebellion against the imperative languages such as C and Java which use semicolons so shamelessly and frequently to separate/terminate statements. Compared to Lisp all these languages are just comments. So in lisp a comment is defined by a semicolon ; followed by any number of characters that are not newline characters represented by either \r or \n. We can use another regex to define it. As with strings we need to create a new parser and use this to update our language in mpca_lang. We also need to remember to add the parser to mpc_cleanup, and update the first integer argument to reflect the new number of parsers passed in. Our final grammar now looks like this. And the cleanup function looks like this. Because comments are only for programmers reading the code, our internal function for reading them in just consists of ignoring them. We can add a clause to deal with them in a similar way to brackets and parenthesis in lval_read. Comments won't be of much use on the interactive prompt, but they will be very helpful for adding into files of code to annotate them. We want to built a function that can load and evaluate a file when passed a string of its name. To implement this function we'll need to make use of our grammar as we'll need it to to read in the file contents, parse, and evaluate them. Our load function is going to rely on our mpc_parser* called Lispy. Therefore, just like with functions, we need to forward declare our parser pointers, and place them at the top of the file. Our load function will be just like any other builtin. We need to start by checking that the input argument is a single string. Then we can use the mpc_parse_contents function to read in the contents of a file using a grammar. Just like mpc_parse this parses the contents of a file into some mpc_result object, which is our case is an abstract syntax tree again or an error. Slightly differently to our command prompt, on successfully parsing a file we shouldn't treat it like one expression. When typing into a file we let users list multiple expressions and evaluate all of them individually. To achieve this behaviour we need to loop over each expression in the contents of the file and evaluate it one by one. If there are any errors we should print them and continue. If there is a parse error we're going to extract the message and put it into a error lval which we return. If there are no errors the return value for this builtin can just be the empty expression. The full code for this looks like this. With the ability to load files, we can take the chance to add in some functionality typical of other programming languages. When file names are given as arguments to the command line we can try to run these files. For example to run a python file one might write python filename.py. These command line arguments are accessible using the argc and argv variables that are given to main. The argc variable gives the number of arguments, and argv specifies each string. The argc is always set to at least one, where the first argument is always the complete command invoked. That means if argc is set to 1 we can invoke the interpreter, otherwise we can run each of the arguments through the builtin_load function. It's now possible to write some basic program and try to invoke it using this method. If we are running programs from the command line we might want them to output some data, rather than just define functions and other values. We can add a print function to our Lisp which makes use of our existing lval_print function. This function prints each argument separated by a space and then prints a newline character to finish. It returns the empty expression. We can also make use of strings to add in an error reporting function. This can take as input a user supplied string and provide it as an error message for lval_err. The final step is to register these as builtins. Now finally we can start building up libraries and writing them to files. lispy> error "This is an error"
This is the last chapter in which we are going to explicitly work on our C implementation of Lisp. The result of this chapter will be the final state of your language implementation. The final line count should clock in somewhere close to 1000 lines of code. Writing this amount of code is not trivial. If you've made it this far you've written a real program and started on a proper project. The skills you've learnt here should be transferable, and give you the confidence to seek out your own goals and targets. You now have a complex and beautiful program which you can interact and play with. This is something you should be proud of. Go show it off to your friends and family! In the next chapter we start using our Lisp to build up a standard library of common functions. After that I describe some possible improvements and directions in which the language should be taken. Although we've finished with my involvement this is really this is only the beginning. Thanks for following along, and good luck with whatever C you write in the future! "Function '%s' cannot define non-symbol. " "Function '%s' passed too many arguments for symbols. " return lval_err("Function passed too many arguments. " return lval_err("Function format invalid. " "S-Expression starts with incorrect type. " › Adapt the builtin function join to work on strings. › Adapt the builtin function head to work on strings. › Adapt the builtin function tail to work on strings. › Create a builtin function read that reads in and converts a string to a Q-expression. › Create a builtin function show that can print the contents of strings as it is (unescaped). › Create a special value ok to return instead of empty expressions (). › Add functions to wrap all of C's file handling functions such as fopen and fgets.